Pastor Luke was born and raised in South Amherst, Ohio. Growing up, he attended Camden Baptist Church in Wellington, and attended Firelands High School, where he played basketball and football. Soon after he was saved, Luke felt the call to ministry while he attended AWANA. Upon graduating from high school, Luke went to study at Baptist Bible College (Now Clarks Summit University) in Clarks Summit, Pennsylvania. While in school, Luke enjoyed playing on the school’s soccer and tennis teams and being involved in campus life. After graduating in 2011, he went to the Southern Baptist Theological Seminary in Louisville, Kentucky to pursue a Master’s of Divinity. During his second semester, Luke met his lovely wife, Sarah at an Ultimate Frisbee tournament (which their team won) on their school’s campus. Attracted to her joyful spirit, kindness, and love for the Lord, he proposed a year later, and they were married on May 24, 2014. After graduating from Seminary in May of 2015, Luke worked for a year while seeking a position in full-time vocational ministry. 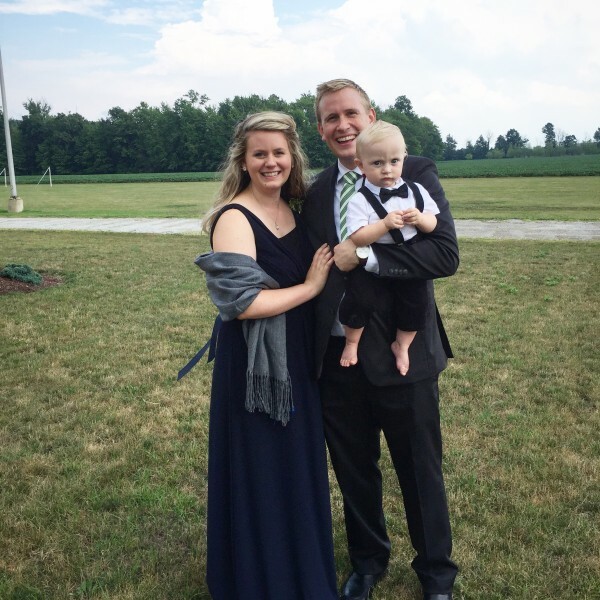 During this time, Luke and Sarah welcomed Owen Thomas into the world on August 12, 2015. He is an absolute joy to them. On July 17, 2016, Luke became the Associate Pastor of Adult Ministries at First Baptist Church. Luke enjoys reading, playing with his son, road trips with his wife, drinking coffee, and supporting the Buckeyes, Browns, Cavaliers and Indians. Sarah enjoys reading, decorating, shopping for antiques, and cooking.